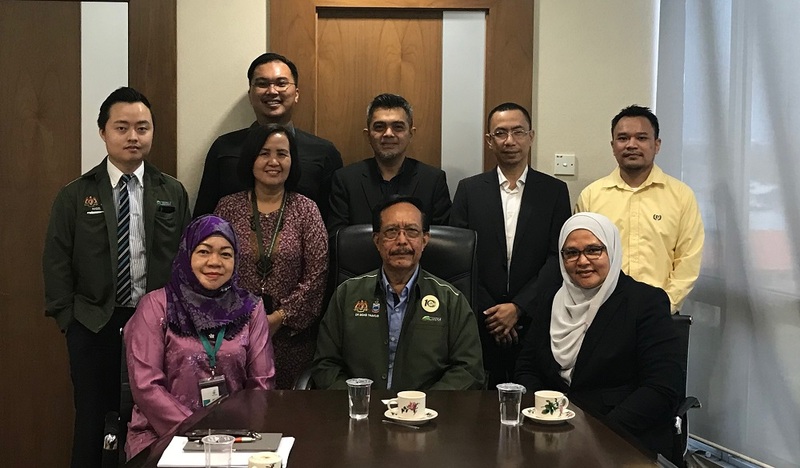 Kota Kinabalu (Friday) - The Sabah Economic Development and Investment Authority (SEDIA) today received a courtesy visit by a delegation from Petroliam Nasional Berhad (PETRONAS). The delegation, led by Sabah-Labuan regional office head Rokiah Sulaiman, was received at Wisma SEDIA by SEDIA Chief Executive Datuk Dr. Mohd Yaakub Johari. The visiting delegation sought to have a discussion on developing small and medium enterprises (SMEs) in Sabah. The visiting delegation is from the Vendor Development Section (VDS) unit, residing in Group Procurement for PETRONAS. One of the unit's focus areas is to promote research and development activities for products or services that contribute values to PETRONAS and nation in general. More recently, VDS has been entrusted as the custodian of a programme established to identify and develop bumiputera vendors, so as to support PETRONAS' and the government's aspirations to develop competitive, sustainable high-performing bumiputera vendors. At the moment, the unit are planning to amplify processes in identifying local vendors to be part of its programme, which includes local entrepreneurs in states where Petronas is operating, including Sabah. In this matter, the delegation recognises the importance of understanding the strategic direction of the state, as far as innovation and technology is concerned. SEDIA was established in 2009 as the One-Stop Authority to plan, coordinate, promote and accelerate the development of SDC. Having realised the potential of SME contributions to the state economy, SEDIA had developed initiatives and has been actively involved in SME development in Sabah since the Second Phase of SDC (2011-2015) and into the current Third and final Phase of SDC (2016-2025). The SME programmes are also in line with one of the three principles of SDC, which is capturing economic value activities. The SDC SME programmes are to help entrepreneurs, start-ups and companies to discover business ideas, validate as well as scale up their ventures. A crucial component of SDC SME programmes has been the SDC SME Incubator programme, conducted over a two-year period through two types of setups based on SMEs' location, namely In-Situ and Ex-Situ Incubation. As at December 2018, there are a total of 153 approved In-Situ and Ex-Situ incubatees, and a total of RM13.73 million in grants provided for these incubatees. The SDC initiatives by SEDIA support, and are aligned with, the State and Federal governments' efforts and initiatives to develop local and bumiputera SMEs, so as to increase the number of locally developed businesses, products and services. In Budget 2019, the Sabah Government allocated RM24.45 million for special fund and loan for entrepreneurial development including for youths, to help encourage the activities of SMEs in Sabah, thus highlighting their importance and contribution to the state economy. Recent investments in Sabah had been largely contributed by domestic investment, reflecting a positive development to the government's efforts in intensifying value-added activities among local entrepreneurs and investors.